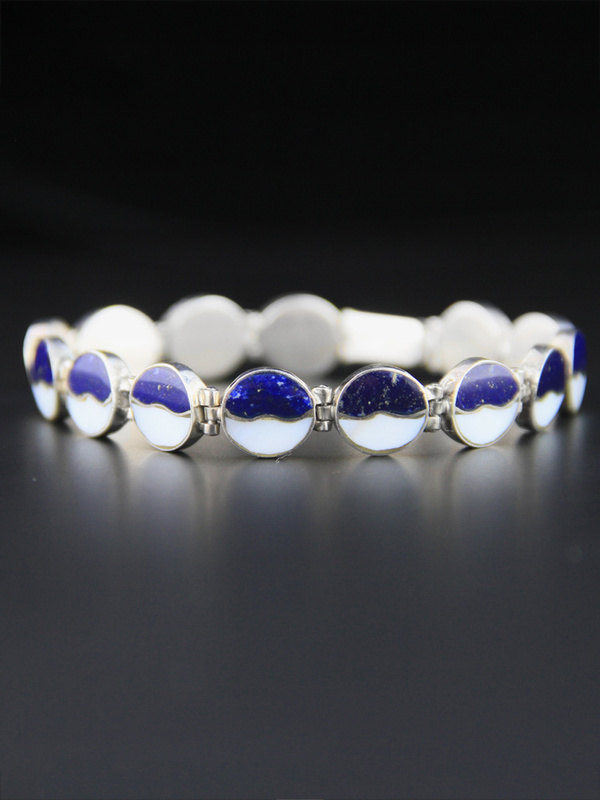 Lovely, elegant sterling silver lapis lazuli and mother of pearl bracelet. 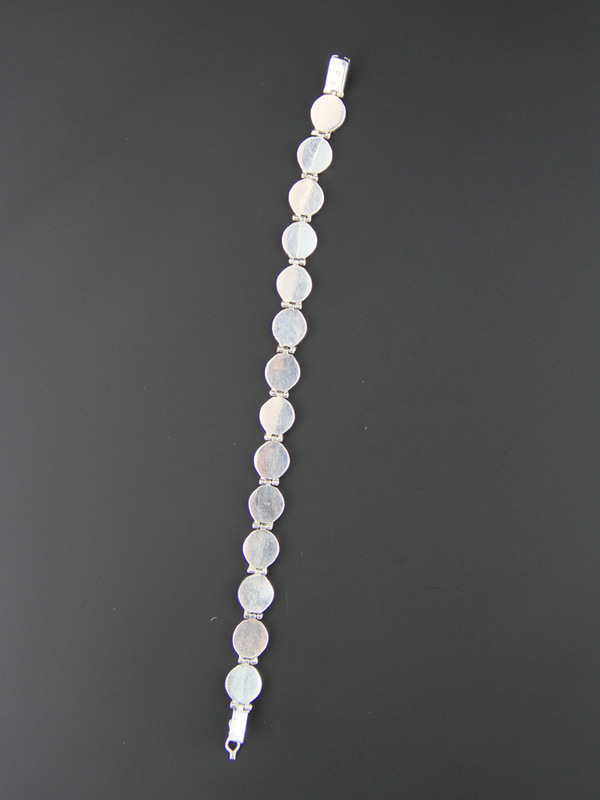 Southwest made, this appears Mexican in origin but is only stamped 925. 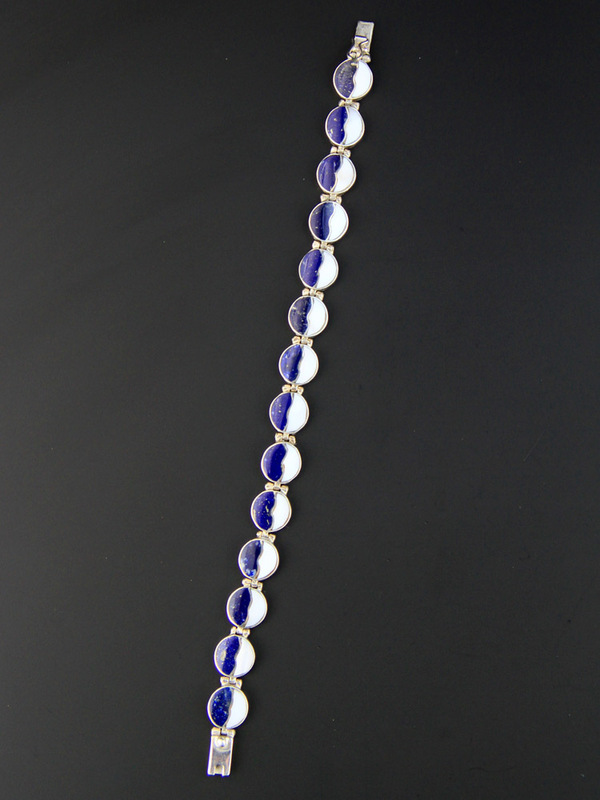 Fine silver channel inlay in between mother of pearl and lapis, nicely made, fine quality, tab closes with a crips click and there is an attached safety clasp. 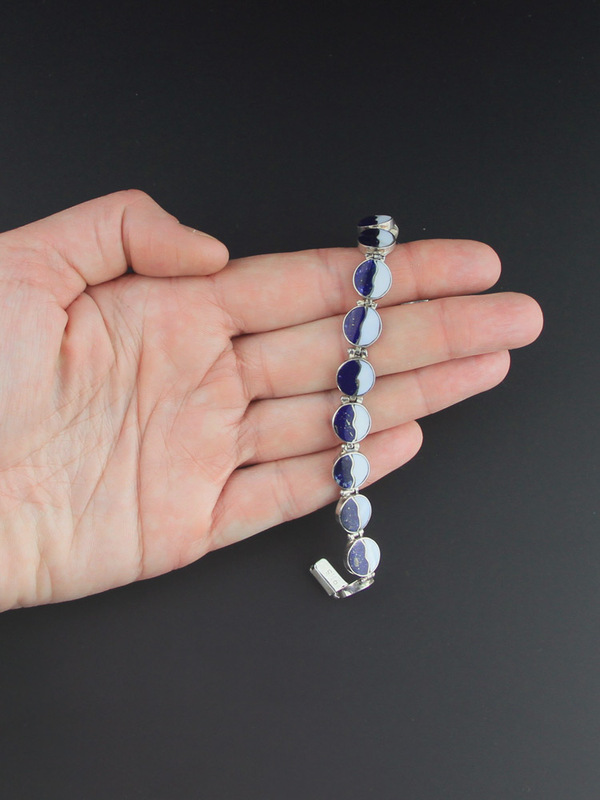 Nice size, elegant but generous - gorgeous vintage bracelet (there is a matching necklace available if you are interested).